Willy Eisenschitz’s father, a liberal-minded lawyer, encouraged his son to pursue his artistic vocation. He quickly left the School of Fine Arts in Vienna and went to work in Paris. 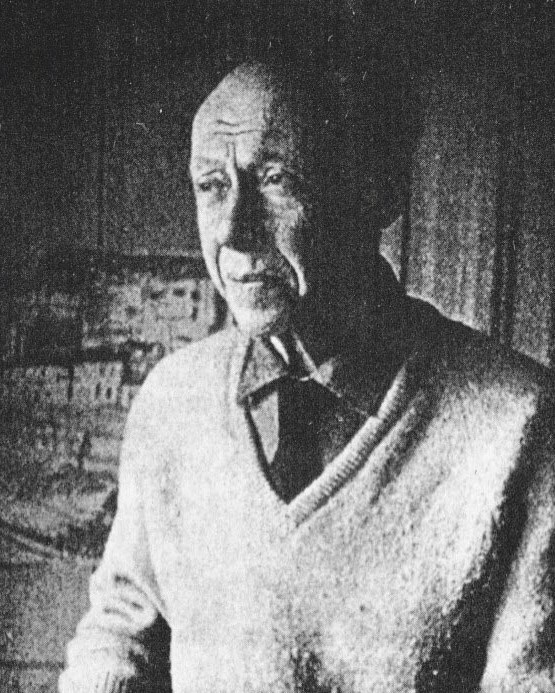 He stayed with his uncle, Otto Eisenschitz, who was an art collector and brother-in-law of Henri Bergson. In 1912, he enrolled in the Académie de la Grande Chaumiere, where he met young artist Claire Bertrand. They got married in 1914. 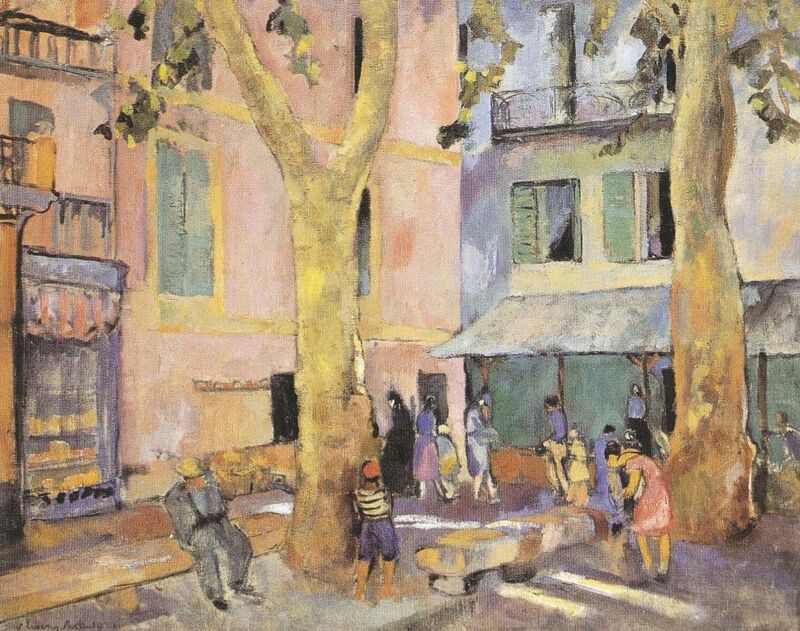 While the painter’s debut took place in Central Europe, it was the Canal Saint-Martin in Paris and the Provence region that inspired his future work. He was first and foremost a landscape painter. His work was only slightly influenced by the revolutionary pictorial movements going on in Paris. However, the geometric shapes depicted in his paintings are reminiscent of the interwar Cubist movement. In 1914, Eisenschitz was arrested as an enemy alien. He was interned at a civilian internment camp in Angers for most of the war. His wife joined him there, where she later gave birth to two children. For health reasons, in 1917, Eisenschitz settled in Lucerne. He exhibited in Lucerne and in Zurich. In 1920, the couple returned to Paris, traveled to Provence in 1921, and to Florence and Assisi in 1922. Eisenschitz went to live in the mountains because of a health problem. He settled in Mollans and then in Dieulefit in the Drome department. In 1926, after a solo exhibition at the Joseph Billiet gallery, the state purchased one of his paintings for the first time. In 1927, Eisenschitz moved with his family to the former Couvent des Minimes at La Valette-du-Var, near Toulon. In 1929, he traveled to Spain and the Balearic Islands. In 1931, while he suffered from shoulder arthritis, which prevented him from using his right arm, he produced watercolors that were exhibited with success in 1932 at the Billiet- Worms gallery. In 1935, Eisenschitz acquired French nationality. He continued to travel to Spain and illustrated three books by Jean Giono: Les Vraies Richesses, Mort du blé, Entrée du printemps. During World War II, Eisenschitz went back to Dieulefit where numerous other intellectuals had taken refuge. His son David joined the Resistance, but was arrested and deported in 1944. Following the war, Eisenschitz spent his time between trips and exhibitions in Paris, Toulon, and Marseille. The places where he lived or where he traveled to consistently inspired him. One year before his death, a retrospective took place at the Maison de la Culture in Amiens.